At long last there’s something for renters in Toronto — where a two-bedroom condo goes for nearly $3,000 a month — to look forward to. Toronto rents aren’t rising as quickly as they were last year, and that’s because an increased supply of available apartments has provided some relief in a city where rock-bottom vacancy rates have contributed to skyrocketing housing costs. According to local real estate research firm Urbanation’s latest report on the GTA rental market, out today, rents for units available in purpose-built rental buildings last quarter climbed 5 percent compared to the same time last year. While that put the average rent in these buildings at $2,398 — or $3.25 per square foot at an average unit size of 738 square feet — the rate of increase has slowed from the 9-percent year-over-year gains observed in the fourth quarter of 2018. Meantime, GTA condo rents surged by 7.7 percent on a per-square-foot basis, slightly softer than the 9.2-percent annual increase in the previous quarter. The data for the past quarter exclude units in any structures that homebuilders finished construction on in the past 12 months. “The increase in rental completions in early 2019, which is coinciding with more condominium projects finishing construction, has shown that growth in new supply can have a direct impact on the rate of rent growth,” says Shaun Hildebrand, Urbanation’s president, in the report. A total of 1,849 purpose-built rental units began the occupancy stage in Q1, the highest number in more than 25 years. That may not sound like a lot, but it’s a considerable number for a single quarter relative to the total 13,520 purpose-built rental units that have been construction in the GTA since 2005. 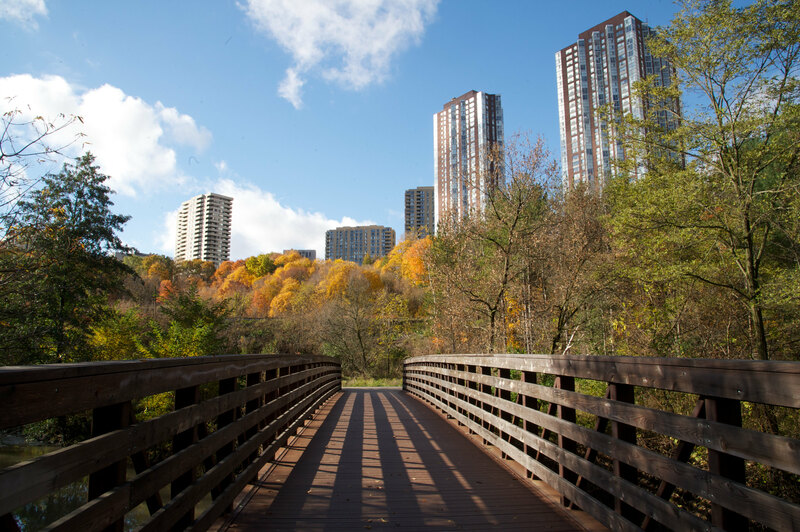 On the condo side, 2,055 condos were listed as available for rent via the Toronto Real Estate Board’s online service as of March’s end, up 47 percent from a year earlier. Urbanation notes that although listings are up, those 2,000-plus listings aren’t even a full month of supply; that means if the current pace of leasing persisted without any new condos coming on the rental market, those units would all be rented in under 30 days. In fact, units leased in the first quarter were only listed for an average of 21 days. However, that is the highest average in more than three years. “The challenge going forward will be keeping rental construction numbers rising to a level that meets growth in demand,” he continues. A separate report, also published today, from apartment-search website rentals.ca says that two items in 2019 federal budget, which was released last month, are expected to provide further relief to the Canadian rental market, including in Toronto. These are the First-Time Home Buyer Incentive and the expansion of the Rental Construction Financing Initiative. The former measure is a shared-equity mortgage scheme that will see the Canada Mortgage and Housing Corporation put up to 10 percent the cost of a home in exchange for a corresponding equity stake in the property. Only offered to households earning less than $120,000 annually, some have questioned its effectiveness in the Toronto market, but the program, expected to launch this fall, has the potential to help some would-be renters move on to ownership, freeing up rental accomodations for others. The Rental Construction Financing Initiative, introduced in 2017, offers homebuilders “low-cost loans for the construction of new rental housing for modest and middle income Canadians,” according to the Government of Canada. To date, the program has led to the announcement of 17 new housing projects for a total of 2,000 rental units. Budget 2019 adds $10 billion to the program over a nine-year period, so the program can continue to 2027–2028. “These two measures, plus the potential rate cut in 2019 should help keep rents stable if not lower, especially in Toronto where rents continue to increase on a monthly basis,” reads the rentals.ca report.